Photo courtesy of Willa Hilton The winning team, from left: Neve Harmon, Daisy Hilton and Yolo Salas. 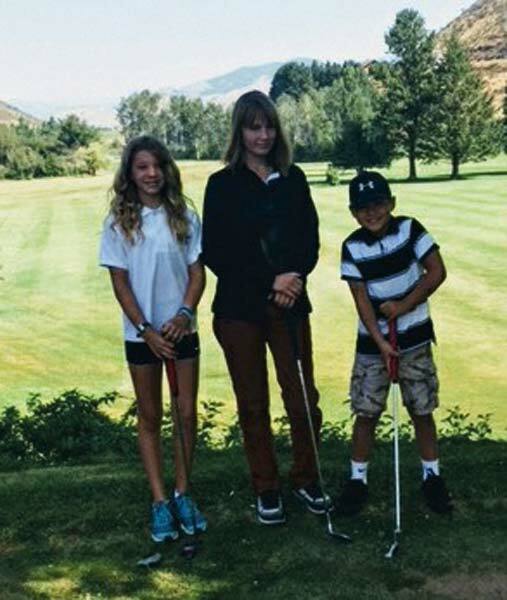 Bear Creek Golf Course hosted its Seventh annual Junior Golf tournament and barbecue on July 26. Twenty-five juniors participated in the program this year, which included a week-long clinic for inexperienced players, weekly lessons and mentor play for experienced players, and weekly practice sessions for all players. Coach Dustin Howard led the clinic, and coach Rick Lewis taught the weekly lessons. Participants in the tournament competed in teams of three in driving, chipping and putting contests as well as a three-hole best ball play. The competition was close and resulted in a “putt-off” to determine the second- and third-place teams. The team of Neve Harmon, Daisy Hilton and Yolo Salas took first place. Willa Hilton, Adele Hilton and Harriet Schkrohowsky won second place. 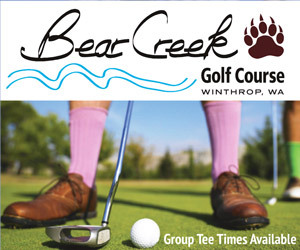 Bear Creek Junior Golfers express thanks to course managers Mike and Laurie Hilton for their enthusiastic support of the program.